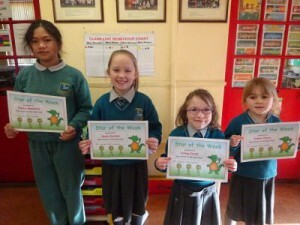 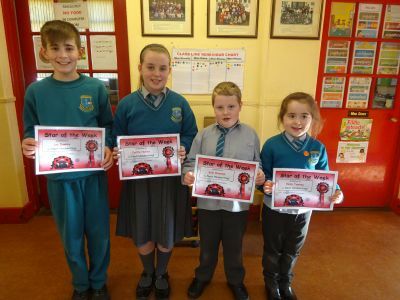 This week’s stars of the week were Katana, Keelin, Aisling and Isibéal who all made a great start to the school year. Well Done! 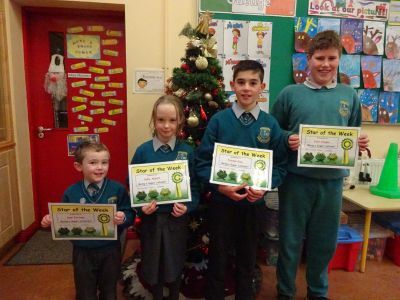 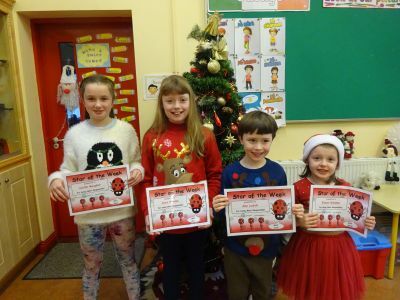 This week’s stars of the week were Anna, Rían, Leona and Holly who were chosen for being ‘Super Spellers’. Well Done all! Well Done to this week’s Stars of the Week for being ‘most responsible’. 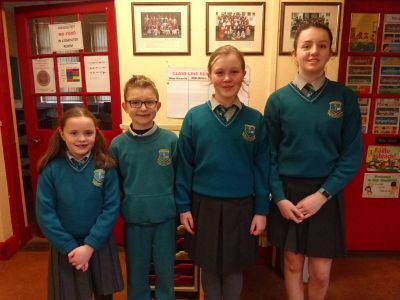 Pictured are Caitlín,Ciara, Abe and Eimear. Well Done to this week’s stars of the week for being great listeners! 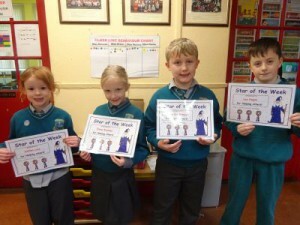 Pictured are Sam, Holly, Tristan and Jack.